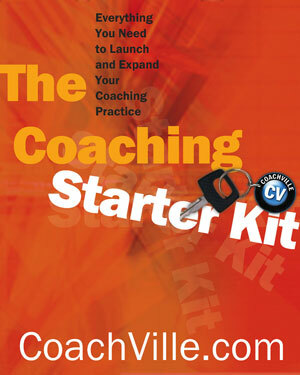 Coaching Starter Kit - Description | W. W. Norton & Company Ltd.
For therapists, consultants, and other service professionals interested in learning how to expand their practices by offering coaching services, as well as non-therapists interested in developing a coaching business, The Coaching Starter Kit is an essential, comprehensive all-in-one toolkit to help you get started in coaching. 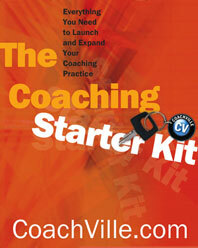 Culled from the extensive resources of CoachVille.com, a leader in the coaching field, this book includes over 150 fundamental and practical forms. The material in this book addresses the nuts and bolts of coaching: the coaching process, practice design, attracting clients, session agendas and discussion topics, sample client data sheets and agreements, client questionnaires, communication advice, budget planning and financial upkeep, coaching niches, marketing and PR tips, workshop and conference suggestions, as well as a wide collection of goal-oriented and issue-specific client worksheets.